It is difficult to ignore such beauties. 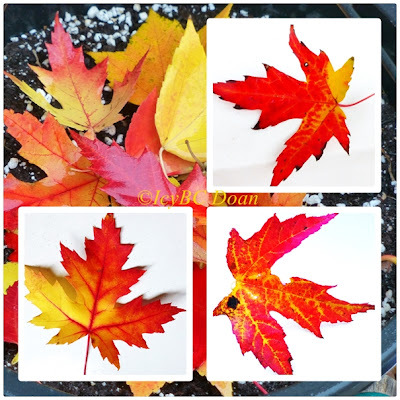 Beautiful Autumn leaves, Lovely mosaic! Very nice! I like to play in the leaves with my granddaughter and we "wax" the really pretty ones. Yes, so many just disappear without being noticed.